This richly illustrated comparative study of art across cultures looks at the transference of specific images and tropes throughout Eurasia from Rome to Tokyo. Starting in the early fifth century BCE, when the well-established Greek influence in Black Sea–area art spread to China, P. L. W. Arts looks at the cultural flow from West to East up to the present day. 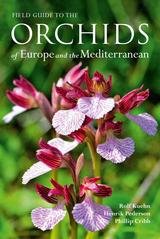 Cutting across wide swathes of the continent, including the Mediterranean Sea, Iran, Afghanistan, northern India, parts of Central Asia, and Japan, Violets between Cherry Blossoms is a uniquely wide-reaching overview of the movement of motifs and images across the globe and an invaluable reference tool for classical scholars and art historians. The concept of “real legal certainty” provides a much-needed corrective to the general attention legal certainty currently receives, emphasizing relations between citizens, adding socio-legal insight, and providing a “view from below” Real legal certainty thus leads to more realistic insights on how to build state institutions. The concept was introduced by Leiden University’s professor of law and governance in developing countries Jan Michiel Otto, and can be considered a central pillar of his work. In this volume, friends and colleagues of Otto engage with the concept of real legal certainty against the backdrop of an ever-increasing interest in legal certainty in policy-making and academia, providing a wide variety of examples of its relevance. Drawing on case material from all over the world, they show how real legal certainty can be understood in a bottom-up manner and how it is relevant for building state institutions. They also show how the concept can gain in relevance by taking non-state actors into account. In all, the volume is important reading for all whom share Otto’s interest in translating law in the books and into law in action. The relationship between Europe and Islam has been complicated, if not troubled, throughout the thirteen centuries since Muslims first began playing a part in European history. This volume offers a compact, yet comprehensive look at the entire history of the interaction of Islam and Eureopean culture, religion, and politics. Maurits S. Berger focuses in particular on the transformations that the figure of the Muslim and the image of Islam have undergone in the European mind. Conqueror, Antichrist, scholar, benign ruler, corsair, tradesman, fellow citizen—the Muslim has been all of those and more, and even today, as Muslims make up a substantial portion of Europe’s citizenry, they remain all too often a source of undeserved anxiety for ordinary people and politicians alike. Through Berger’s clear prose and incisive analysis, the story of Islam and Europe is seen as one of interaction and mutual influence rather than perpetual antagonism. Textiles that have been uncovered in archaeological excavations include garments, household fabrics, and sails. But until now, systematic analyses of such discoveries had not yet been undertaken for Dutch artifacts. 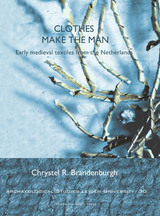 Closing this considerable gap, Clothes Make the Man focuses on textile remains dating from between 400 and 1000 CE that have been recovered from settlements and cemeteries in what is now the Netherlands. As Chrystel R. Brandenburgh shows, such fabrics enable valuable reconstructions of burial clothing and yield important data about their production processes and techniques. This volume consists of thirteen essays by eminent scholars, each focusing on different aspects of the Khamsa, a collection of five long poems written by the Persian poet Nizami of Ganja (1141–1209). The cycle’s heroes, Khosrow and Shirin, Leili and Majnun, and Iskandar, have become household names all over the Islamic world. Considering the work from such perspectives as art history, comparative literature, science, philosophy, and mysticism, the contributors revive and challenge traditional views on the poet and his work. Appropriate for both specialists and anyone interested in the movement of ideas through the medieval world, Nizami is a major contribution to the study of one of the most important figures in classical Persian literature. 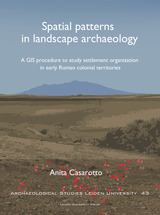 This 43rd volume of the ASLU series presents a useful GIS procedure to study settlement patterns in landscape archaeology. In several Mediterranean regions, archaeological sites have been mapped by fieldwalking surveys, producing large amounts of data. These legacy site-based survey data represent an important resource to study ancient settlement organization. Methodological procedures are necessary to cope with the limits of these data, and more importantly with the distortions on data patterns caused by biasing factors. In 2007, the United Nations adopted the UN Declaration on the Rights of Indigenous People, a landmark political recognition of indigenous rights. 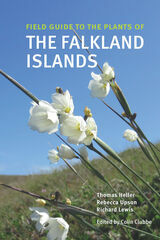 A decade later, this book looks at the status of those rights internationally. Written jointly by indigenous and non-indigenous scholars, the chapters feature case studies from four continents that explore the issues faced by Indigenous Peoples through three themes: land, spirituality, and self-determination. In contemporary politics two conflicting trends have influenced freedom of expression. 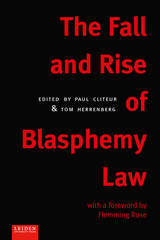 The first confirms that many Western countries have become less strict about sacrilegious expression and repealed their blasphemy laws or withdrew much of their punishment for blasphemy. 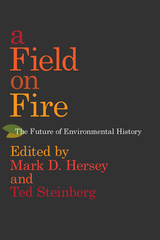 Yet the second trend manifests in an opposing movement, often couched in terms of religious freedom, which attempts to reconcile free speech with freedom of religion by punishing expressions deemed, for instance, “hate speech.” With contributions by scholars from a wide range of disciplines, this book offers an examination of topical issues relating to both of these movements, looking at freedom of expression, censorship, and blasphemy in contemporary multicultural democracies. Prior to the advent of modern structural engineering, architects and builders used proportional systems to imbue their works with a general condition of order that was integral to notions of beauty and structural stability. These mostly invisible intellectual frameworks ranged from simple grids and symbolic numbers, to sly manipulations of geometry and numbers that required privileged knowledge and arithmetical calculations to access. Since the origins of architectural history, proportional systems have served as objects of belief and modes of iconographical communication. Whether they are capable of fulfilling more tangible functions remains a matter of debate today, but as the contributors to this volume show, these ancient and diverse belief systems continue to infiltrate architectural thinking in subtle and sometimes surprising ways today. 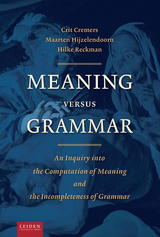 This volume investigates the complicated relationship between grammar, computation, and meaning in natural languages. It details conditions under which meaning-driven processing of natural language is feasible, discusses an operational and accessible implementation of the grammatical cycle for Dutch, and offers analyses of a number of further conjectures about constituency and entailment in natural language. Terrorists on Trial offers an unexpected—and productive—new perspective on terrorism trials, viewing them as a form of theater, in which the “show” that a trial offers can develop its own unexpected dynamics, aspects that occasionally inconvenience the prosecuting government and interfere with its aims. 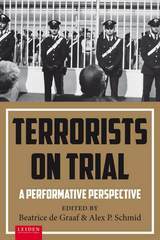 As a political construct, the crime of terrorism is an essentially contested act, and interpreting trials through this lens enables us to see their performative aspects more clearly than ever. With close analyses of trials in the United States, Spain, Russia, Germany, and the Netherlands, Terrorists on Trial breaks new ground for our understanding of a crucial contemporary problem. Reclaiming the Faravahar is the first ethnographic study of contemporary Zoroastrians in Tehran. Examining hundreds of ritual performances, Navid Fozi shows how Zoroastrians define their identity and values in an area long marked by conflict between the Shi‘a and Sunnis. He focuses on two main concerns for Zoroastrians: continuity with the past as evidenced by their claim to be the most authentic Iranians, as well as their attempts to stand apart from the dominant Shi‘a. Fozi also provides a look at the challenges Zoroastrians have faced over the centuries while exploring how today’s members are working to remain relevant in a tumultuous regional and global context. 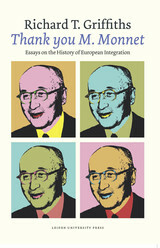 Richard T. Griffiths has been writing about questions of European integration for decades, and this volume gathers the most important of those writings. Topics covered include the early days of the Marshall Plan, the difficulties and opportunities brought by the development of the European Economic Community in the 1970s and ’80s, the role of the Organisation for Economic Cooperation and Development, and the emergence of the European Union. Commanding and compelling, the collection serves as a fitting capstone to a long, engaged career. Although we have always been fascinated with famous people, the invention of modern celebrity culture dates to the nineteenth century. During Romanticism, literary authors occupied a prominent position among early stars. These changes not only had implications for the cultural role of the author, but also that of the public. A star exists by virtue of its audience, and as authors became public figures, the phenomenon of the fan and associated culture of fandom came into existence. Star Authors in the Age of Romanticism analyzes Dutch literary celebrity culture specifically while also examining its unique place in a growing body of international scholarship on the subject. 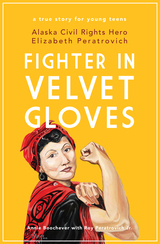 This book examines the Dutch development of literary celebrity by focusing on five famous Dutch authors from the nineteenth century: Willem Bilderdijk, Hendrik Tollens, Nicolaas Beets, François HaverSchmidt (alias Piet Paaltjens), and Eduard Douwes Dekker (better known as Multatuli). The Dutch Republic proved to be extremely receptive to the groundbreaking ideas of Isaac Newton (1643­-1727). Dutch scholars such as Willem Jacob Gravesande and Petrus van Musschenbroek played a crucial role in the dissemination of Newton’s work, not only in the Netherlands, but also in the rest of Europe. 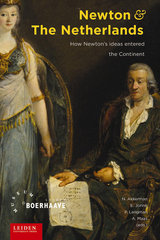 With Newton and the Netherlands, editors Eric Jorink and Ad Maas collect a variety of essays that seek to contextualize Newtonian ideas within Dutch intellectual history and examine Newton’s powerful influence on his contemporaries in the Netherlands. Building on the ancient idea that communication enables civilization, this book introduces the concept of rhetorical citizenship as a way to explore rhetoric’s place in society. Christian Kock and Lisa Villadsen bring together contributions from various fields to highlight the discursive aspects of civic life. Persian literature has profoundly influenced the literatures of Ottoman Turkey, Muslim India, and Turkic Central Asia, and was a source of inspiration for such prominent intellectuals as Goethe, Emerson, and Jorge Luis Borges, among others. This comprehensive study reflects the stature and significance of Persian literature, with contributions from prominent scholars who bring a fresh critical approach to this important topic. The essays illuminate subjects ranging from the Alexander romance, to Sufism and Baha’i literature, to the reception of Salman Rushdie’s novels in Persian. A snapshot of the current state of Persian literary studies, this volume will be of substantial interest not only to scholars of Iranian culture, history, and religions, but of Middle Eastern and South Asian studies as well. Islam exists in global history with its richly variegated cultural and social realities. When these specific cultural contexts are marginalized, Islam is reduced to an ahistorical religion without the ability to contribute to humanity. This limited understanding of Islam has been a contributing factor in many of the violent conflicts in the present day. Reflecting on Islam in Indonesia, the world’s third largest democracy, supporting the largest Muslim population, Ahmad Syafii Maarif argues for an understanding that is both faithful to Islam’s essential teachings and open to constantly changing social and cultural contexts. Building on this, he then addresses critical contemporary issues such as democracy, human rights, religious freedom, the status of women, and the future of Islam. Syafii Maarif’s insights offer inspiration to Muslims and non-Muslims alike. Physics as a Calling, Science for Society is a token of appreciation for A. J. Kox on his retirement as Pieter Zeeman Professor of History of Science at the University of Amsterdam. The papers, written by close colleagues from the Netherlands and abroad, reflect Kox’ own fields of interest: physics and Dutch science in the period 1850-1950. The book focuses especially on the two towering figures of theoretical physics to whom Kox has devoted a large part of his professional life: Hendrik Lorentz and Albert Einstein. A central theme in many of the contributions is the tension that existed in this period between fundamental science and social concerns. Since 1992, when the World Heritage Committee established its category of “cultural landscapes,” scholarly debates have ensued as to how they could best be managed. One approach, which appears to have gained significance over the past two decades, considers using traditional conservation practices in addition to engaging local indigenous communities in the stewardship of these exemplary sites. 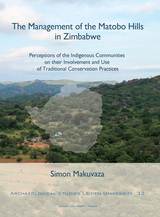 Based on the perspectives of the indigenous people of the Matobo Hills, this investigation studies the extent to which both traditional conservation practices and local involvement can be germane to the administration of World Heritage Cultural Landscapes. 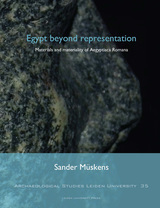 Egypt beyond Representation develops and applies a new approach to study Aegyptiaca Romana from a bottom-up, Roman perspective. Current approaches to these objects are often still plagued by top-down projections of modern definitions and understandings of Egypt and Egyptian material culture onto the Roman world. This book instead argues that these artifacts should be studied in their own right, without reducing them to fixed Egyptian meanings. This study shows that, while “Egyptianness” may have been among Roman associations, these objects were able to do much more than merely representing notions of Egypt. Persian passion play or ta'ziya depicts the role of the Prophet's granddaughter Zeynab during the tragic death of the third Shiite Imam Hoseyn in Karbala in 680. This book depicts how Zeynab has become a role model in modern Iranian society, especially during the Islamic Revolution and the Iran-Iraq War. In Praise of Ambiguity presents a discourse about the seriousness of play. Erasmus and Huizinga are its main subjects, their books In Praise of Folly (1511) and Homo Ludens (1938) its main texts. Though published more than four hundred years apart, Otterspeer treats those books as contemporaries and asks what they still have to say to us. The main theme of both books is the contrast between two attitudes of life: the conviction that each subject has two or more sides as opposed to the certainty that there is always only one side to the subject. It is relativism versus essentialism, play versus seriousness. In these times of populism and fundamentalism, the relationship between play and seriousness is more significant than ever. Erasmus and Huizinga conceive a compromise as brilliant as it is paradoxical: turn seriousness into play, play into seriousness. Their solution is the life blood of literature. Literature is always paradoxical, always "true" and "not true' at the same time, both reality and fiction. Ambiguity is its home territory. Literature is the best answer to the purity and peremptoriness of prophets. Published in 1960, Hans-Georg Gadamer’s Truth and Method is one of the most influential books on interpretation to have appeared in the past half century. 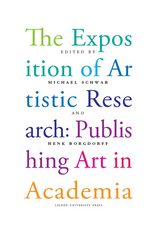 Scholars across the humanities have applied, discussed, and criticized its insights. This volume aims to continue this conversation between hermeneutics and the humanities and tries to map Gadamer’s influence on the humanities, while identifying the possibilities for further interaction between his ideas and contemporary scholarship. This bilingual collection is essential reading for scholars interested in issues of methodology, theory, and philosophy. In an age fueled by globalization and focused on the struggling citizens of the urban metropolis, it might come as a surprise to learn that most of the world’s 1.4 billion poorest people are still rural. Unfortunately, the vast majority of these populations lack ownership of—and rights to—the land that forms their principal source of livelihood. Although land reform and related legal work have transformed the lives of millions of families by providing secure land rights, not all such efforts have succeeded. That mix of success and failure has been a big part of the reason that, in recent years, the conventional wisdom concerning law and land tenure reform—what is needed, what is possible, and how such reform contributes to pro-poor development—has changed, sometimes in striking ways. 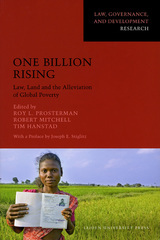 In this timely and important volume, lawyers from the Rural Development Institute and the University of Washington’s School of Law in Seattle use four decades worth of research on the results of land tenure reform efforts around the world in order to address how we might better meet the struggles to understand and change the plight of the rural poor. Images of mirrors and reflection have long played a substantial role in literature by women, used to convey ineffable psychological states, the countless images that define and complicate women’s lives, and much more. 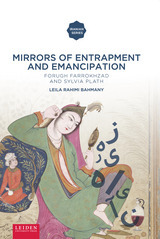 In Mirrors of Entrapment and Emancipation, Leila Rahimi Bahmany focuses in particular on the work of two major women writers, Persian poet Forugh Farrokhzad (1935–67) and the American Sylvia Plath (1932–63), exploring the various ways that these two artists deployed mirrors and reflections as sites of entrapment or emancipation. Between 1966 and 1980, the War History Office of the National Defense College of Japan published a 102-volume military history of Imperial Japan’s involvement in the Pacific War. This book, the first full and unabridged translation of a volume from the series, describes in great detail the operation to capture the Dutch East Indies, which at the time was the largest transoceanic landing operation ever attempted. Between 1966 and 1980, the War History Office of the National Defense College of Japan (now the Center for Military History of the National Institute for Defense Studies) published the 102-volume Senshi Sōsho (War History Series). These volumes give a detailed account of the operations of the Imperial Japanese Army and Imperial Japanese Navy during the Second World War. 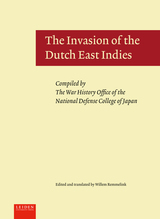 The present volume, The Operations of the Navy in the Dutch East Indies and the Bay of Bengal, volume 26 of the series, describes the Japanese Navy’s role in the campaign to gain control over the Indonesian archipelago—at that time the largest transoceanic landing operation in the military history of the world. It includes, among others, the first complete Japanese analysis of the Battle of the Java Sea, a much-debated battle that ended disastrously for the Allies and opened the way to Java for the Japanese. 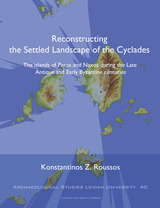 The aim of this book is to offer a fresh approach to the history and archaeology of the Cyclades in Late Antiquity and the Byzantine Early Middle Ages in light of current archaeological investigations. It is an attempt to interpret human-environmental interaction in order to read the relationship between islands, settlements, landscapes, and seascapes in the context of the diverse and highly interactive Mediterranean world. It offers an interdisciplinary approach, which combines archaeological evidence, literary sources, and observations of the sites and microlandscapes as a whole, using the advantages offered by the application of new technologies in archaeological research (Geographic Information Systems). The islands of Paros and Naxos are used as case-studies. 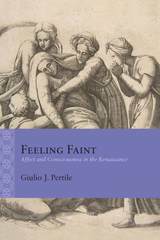 The author traces how these neighboring insular communities reacted under the same general circumstances pertaining in the Aegean and to what extent the landscape played a role in this process. World History—A Genealogy charts the history of the discipline through twenty-five in-depth conversations with historians whose work has shaped the field of world history in fundamental ways. 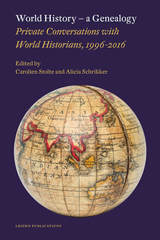 These conversations, which took place over a period of twenty years for the world history journal Itinerario, cover these historians’ lives, work, and views of the academy in general and the field of world history in particular. An extensive introduction distills the most important developments in the field from these conversations, and sheds light on what these historians have in common, as well as—perhaps more importantly—what separates them. 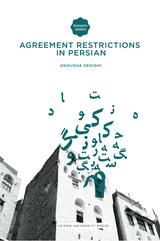 Agreement Restrictions in Persian is the first comprehensive attempt to tackle the issue of verbal agreement in Persian from a cross-linguistic point of view. Persian is a field of research within theoretical linguistics that is yet to be sufficiently explored. This book adopts the Minimalist Program of Chomsky (1995-2004) which is at the forefront of recent theories of formal syntax and applies it to the Persian language. Although it is commonly believed that in Persian the verb agrees with the subject, several constructions seem to constrain this obligatory rule. Adopting the framework of Distributed Morphology, the author argues that agreement is in fact obtained with the plural inanimate subjects but a morphological rule may block the result. Unlike the previous analyses which consider the experiencer as the subject of the psychological constructions, the author argues that the psychological state is the subject of the sentence. The findings of this book not only contribute to better understanding of Persian syntax, but also have important implications for grammar theory. 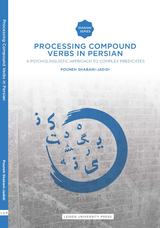 This is the first book-length analysis of the way that Persian compound verbs are processed in the mental lexicon. The study of this process offers ways to infer how these verbs are stored, organized, and accessed, drawing on psycholinguistic theories of polymorphic word processing as well as linguistic theories of complex predicates. This innovative work aims to piece together the cultural biography of Mesoamerica’s precolonial codices. Today, fewer than twenty manuscripts are all that remain of the Mesoamerican book-making tradition. These pictographic and hieroglyphic texts have often been researched according to their content, but such studies have ignored their nature as material objects. 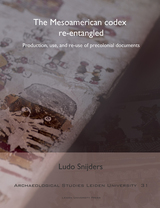 By tracing the paths these books have followed over the past five hundred years, Ludo Snijders offers fascinating insights into their production, use and reuse, destruction, rediscovery, and reinvention. 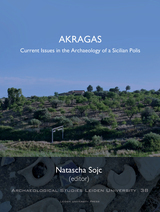 Over the past few years, the archaeological and architectural investigation of ancient Akragas, an ostentatiously wealthy city-state on the site of modern-day Agrigento in Sicily, has gathered new momentum. This book brings together various researchers who investigate the city’s Greek period remains. The issues discussed range from methodological approaches and the interpretation of fresh field-data to concerns of site maintenance and the reconstruction of monuments. The contributors to this volume offer perspectives for further research on the monuments, finds, and contexts from ancient Akragas. These extend beyond strictly archaeological concerns, and as manifested by Agrigento’s status as a UNESCO World Heritage site. The quantity of scholarship on Persian literature is enormous. Yet works of literary criticism and analytical studies are a minute and newly-added portion of its entirety. With few and noteworthy exceptions, the works are agglomerated around the names of such giants of Persian literature as Hafiz, Rumi, and Ferdowsi. In this book Solati demonstrates the influence of Hafiz on the thoughts, poetic language, and philosophy of the nineteenth and twentieth century Persian poets, writers and critics. The contributors to this timely volume explore the philosophical underpinnings and cinematic techniques characteristic of contemporary Iranian film. Collectively, they demonstrate how the pervasive themes of Iranian cinema—such as martyrdom and war, traditional gender roles and their recent subversion, as well as broader social policy issues—have been addressed and how various directors, including the acclaimed Abbas Kiarostami, have approached them using a variety of techniques. Capturing the unique poetic and mystical dimensions of Iranian cinema, these essays consider the effects of the Islamic Revolution on cinema’s ethical and aesthetic aspects. Pieter Albert Bik (1798–1855) was a Dutch colonial official whose work took him all over the world, including travels throughout Europe, the Dutch East Indies, and Japan. This book presents for the first time in English his autobiographical writings about those travels, which Bik never published in his lifetime. Presented here with annotations to set his observations in context, Bik’s accounts offer a unique glimpse of the wide horizons of the world of Dutch colonialism in the first half of the nineteenth century, while editor Mikko Toivanen also draws interesting parallels between Bik’s travels and the contemporary emergence of tourist travel in Europe. Wild West Frisia reconstructs the daily lives of Bronze Age farmers and analyzes the separate components comprising Bronze Age subsistence (i.e. crop and animal husbandry, hunting and gathering) rather innovatively. Instead of summarizing the known data for each subsistence strategy and drawing conclusions solely based on these observations, this study first determines what may have been present yet perhaps is no longer visible. 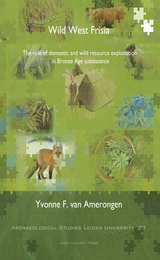 In doing so, the author learns that the exploitation of wild resources was perhaps just as important as crop domestication for those living in the Bronze Age. This collection presents work that examines how tradition and renewal relate in contemporary rhetoric. 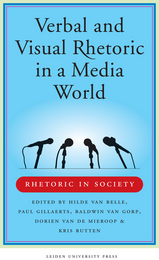 Discussing new theoretical perspectives and proposing different rhetorical analyses of actual topics, the contributors focus specifically on the issue of new media discourse and visual rhetoric as it appears in pictures, graphics, cartoons, documentaries, and videos. The essays that make up Regulating Political Parties were first developed as part of an international symposium at Leiden University focusing on party law. Together, the contributions analyze the regulation of political parties within and beyond Europe from interdisciplinary and comparative perspectives. Addressing both conceptual issues and recent empirical findings, Regulating Political Parties is a valuable examination of an often-overlooked aspect of politics and will be useful for not only scholars, but also legal and political practitioners. This work analyzes ritual practices and knowledge related to the Mesoamerican calendar with the aim of contributing to an understanding of the use and conceptualization of this calendar system in the contemporary K’iche’ community of Momostenango in the Highlands of Guatemala. The research presented here discusses the indigenous calendar system, forms of synergy between the Christian and the Highland Guatemalan calendar, the indigenous perception of history, and continuity in time-related symbolism. Van den Akker argues that the social role of cultural anthropologists and archaeologists is to contribute to the ongoing process of cultural healing and spiritual recovery of the peoples that suffer(ed) from colonization and oppression. 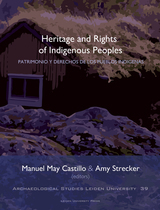 This study therefore places an emphasis on cultural continuity and approaches the continuation of Maya calendar practices as a possible tool for restoring breaks in social memory, which are caused by dramatic events such as colonization. Throughout this book it is argued that time is an authority which directs human behavior in a cyclical manner through the landscape on a local and regional scale. Time is related to morality and cultural values, and a shared perception of time contributes to the cohesion of the community as it recreates and reaffirms the identity of its members by reiterating their shared social conventions and history. Finally, the conjunction of time and ritual provides a tool to overcome the rupture caused by death and to transmit messages from generation to generation over a long span of time. The decades-long rule of President Suharto in Indonesia was ended by violent protests throughout the country in the spring of 1998. Following Suharto’s resignation, Indonesia successfully made the transition from an authoritarian state to a democracy, and this book explores the effects of that transformation on Islamic political organizations in Indonesia, which, for the first time in forty years, were legally allowed to campaign and promote their agenda. The contributors to this book consider the effects of these changes on the influence of orthodoxy and radicalism in Indonesian life and politics, the status of women, and the fate of religious minorities. A Story of Conquest and Adventure: The Large Farāmarznāme presents a poem from the Persian epic cycle dated to the late eleventh century in an English prose translation for the first time. The story tells how Farāmarz, a son of the famous Shāhnāme hero Rostam, conquers several provinces of India, before setting off on an extensive voyage over sea and land, leading his troops through a number of hazardous situations in various fictional countries. Finding love and battling men, demons, and various ferocious animals, the epic hero comes to life in this riveting translation. Tulou, the traditional fortified multifamily dwellings prevalent in southern Fujian, China, are the focus of this three-pronged biography of environments in the Hekeng River Valley. This book explores every aspect of the historical settlement environments surrounding a tulou, incorporating oral histories and interviews to create a complete picture of the cultural, architectural, agricultural, and economic influences that build up these lineage societies. Highlighted also are the tensions between political systems and families in keeping these heritage sites alive. Poetry that uses satire, invective, and burlesque to criticize social, political, and cultural life has been a vital part of Persian literature for centuries. This anthology brings together some of the most impressive, important, and, crucially, irreverent poetry from major and minor poets from the earliest days of Persian poetry through the death of Jami in 1492, the moment when the classical era of Persian poetry ended. Jihad and Islam in World War I: Studies on the Ottoman Jihad on the Centenary of Snouck Hurgronje's "Holy War Made in Germany"
Today’s headlines are full of references to jihad and jihadists, but they’re nothing new: a century ago, the entry of the Ottoman Empire into World War I was accompanied by a loud proclamation of jihad as well. This book resurrects that largely forgotten aspect of the war, investigating the background and nature of the proclamation, as well as its effects in the wider Middle East, the fears it stoked among German and British military leaders, and the accompanying academic debates about holy war and Islam.